Earn $9.29 in Rewards credit (929 points) What's This? Things just got easier with the Shimano Di2 EW-WU111 In-Line Wireless Transmitter, boosting the usability of your Di2 Drivetrain by adding Bluetooth connectivity. Customize your drivetrain or update your firmware while in the saddle with your compatible smartphone or tablet. The tiny wireless transmitter plugs directly into your Shimano E-Tube Di2 wire, feeding the data through to your phone or tablet through Bluetooth, allowing you to make changes to your drivetrain, or monitor metrics like gearing or battery life. No longer do you need to assume an awkward position to get a rough estimate of your remaining battery life, then do some mental arithmetic to decide if you've got enough juice to get home. 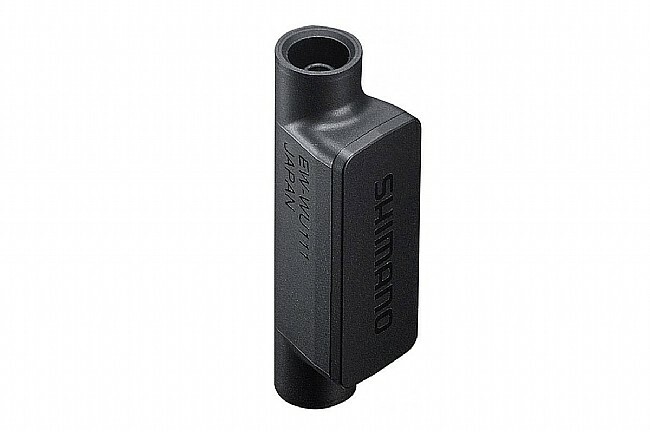 The Shimano Di2 EW-WU111 In-Line Wireless Unit is compatible with Shimano's E-Tube Di2 systems.